Roasted Green Beans are the easiest and most delicious healthy side dish that goes perfect with any dinner. Plus, they’re quick and great for holiday meals too. Do you have a hard time coming up with sides for dinner? As much as I love cheesy potato casseroles, sometimes I just want something simple, quick, and healthy since I’ve already spent a lot of time on the main dish. 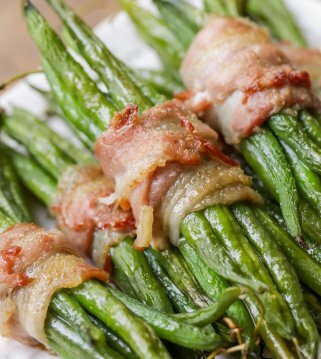 These Roasted Green Beans are the perfect answer. 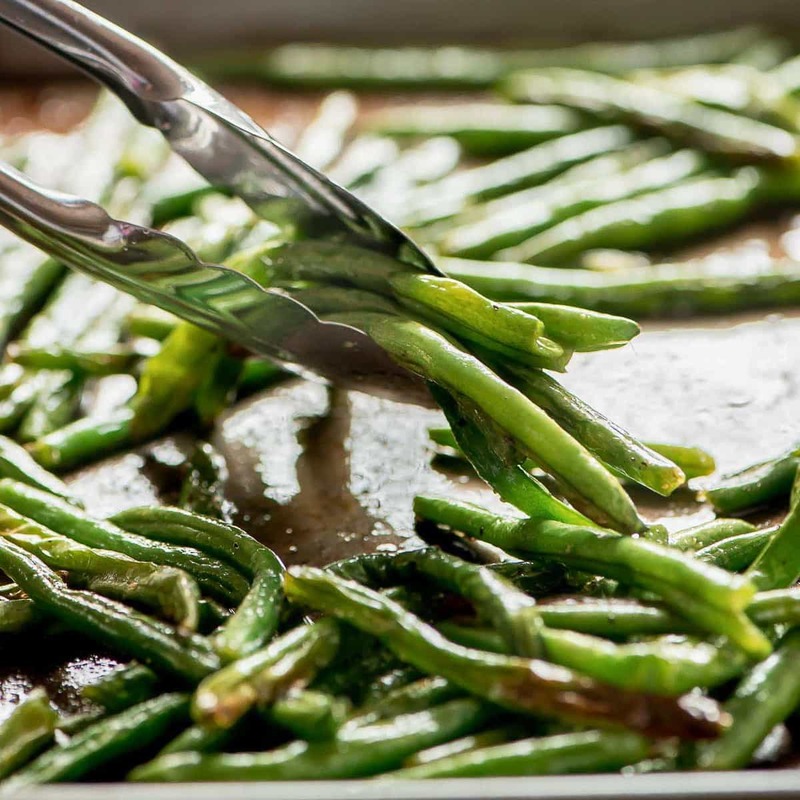 Because these Oven Roasted Green Beans are healthy, quick, and require hardly any work – we think they’re the perfect side dish to any meal. They take less than 2 minutes to prep and are ready in 15 minutes. They’re perfectly cooked and the flavor is delicious! My husband who doesn’t care for green beans even went back for seconds as well as my picky 3 year old. 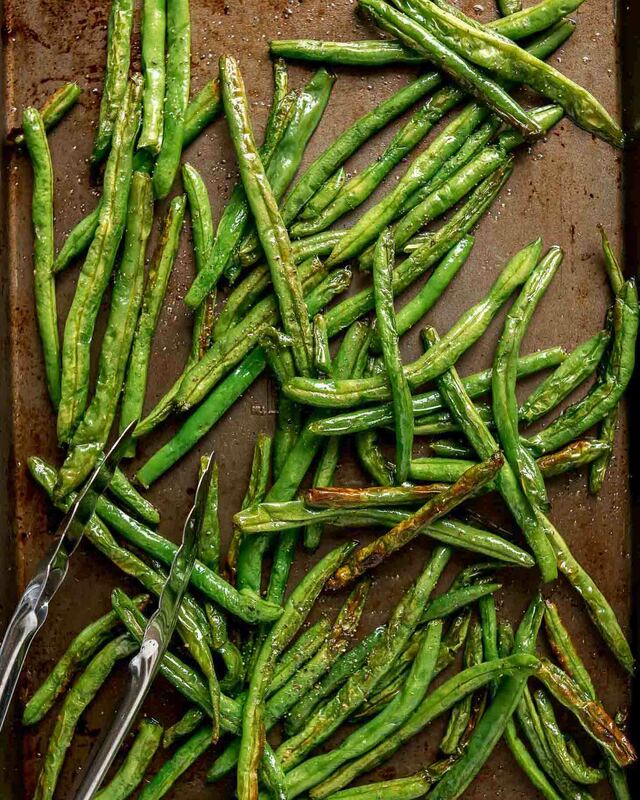 To make them, place the green beans on a baking sheet and drizzle with olive oil and sprinkle with kosher salt. Toss them together a bit to make sure they’re all evenly coated and then pop them in the oven. After baking at 425 for 10 minutes you give the beans a little toss and cook 5 more minutes until some of the beans start to form brown spots and a bit shriveled. 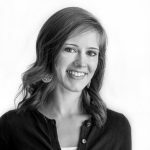 How long does it take to roast green beans at different temps? 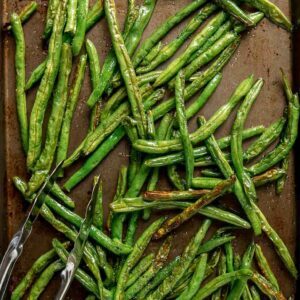 Can roasted green beans be frozen? These green beans can be stored in the fridge for up to 3-5 days if stored in an air=tight container. You can also freeze them in a covered airtight container or freezer Ziploc bag for up to 1 month. Can you reheat green beans? Yes, you can. We like to place them back in the oven at 350 for just a few minutes. Or you can microwave until heated through. 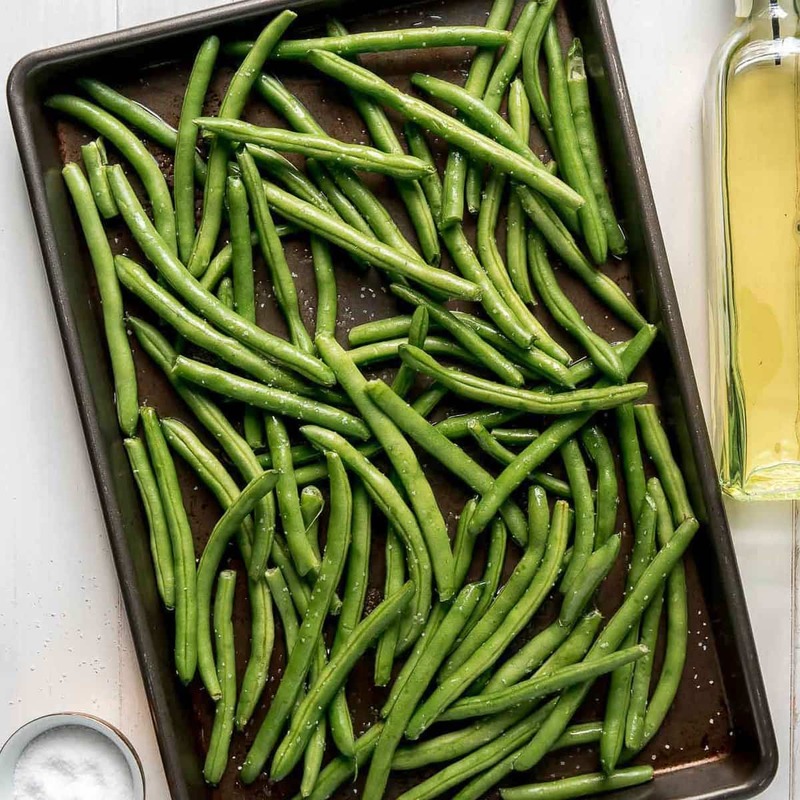 Place green beans on a baking sheet and drizzle with olive oil and sprinkle with salt. Toss to evenly coat. Bake for 10 minutes, toss, and bake another 5 minutes until lightly browned. Sprinkle with pepper and serve. 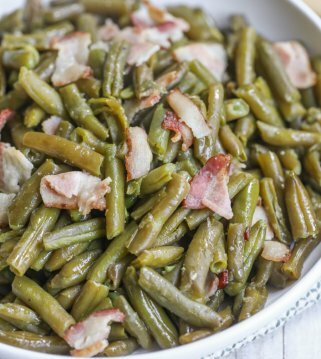 This is one of my favorite ways to cook green beans! THese look so yummy and flavourful! I love fresh green beans! These look so tasty, but so simple! I love roasting veggies but I’ve never tried roasting green beans! Yum. Going to try is ASAP. LOVE how quick this is and my kids gobbled it up. Yay!! That’s awesome that they like green beans! Thank you for letting me know! These are so easy and healthy! I love it, especially when you don’t have a lot of time!